Congratulation to Chen for wining the Jacobs Fellowship! Today ERC announced the winners of the Advanced awards (ERC-ADG). 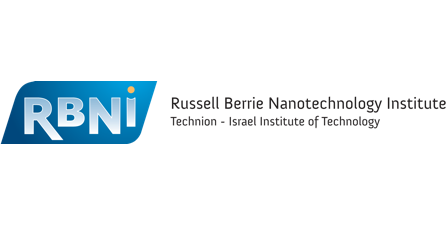 Prof. Meller is among the recipients of this year’s awards for the development of a new method for single-molecule protein identification using solid-state nanopore arrays. In our recent publication (Advanced Functional Materials ) we show that low-intensity laser etching and nanopore formation in amorphous silicon-nitride (SixN) freestanding films highly depends on the Si to N ratio. Increasing the relative Si content yields orders of magnitude increase in etch rate, which is further accelerated in alkaline environments, enabling the fabrication of nanopore arrays within tens of seconds at any arbitrary location. Karawan Halabi, an undergrad student in our lab, won the first place in the 10 km national field race! Good luck in the Olympics and the final project presentation! Arik Girsault, a Ph.D. student in our group, won the first prize for the best poster at the faculty research day. His poster "Towards Super-Resolution STED imaging of Live Cells’ Dynamics" presents his work on parallel STED for super-resolution of live cells. Way to go Arik! On December 2, 2018, our lab conducted a tour for undergrad students from the biomedical faculty. The students were introduced to the lab fields of research, super-resolution microscopy, and single molecule biosensing. The tour helped to connect the theoretical studies of the students to the challenges and interest of real lab experiments.